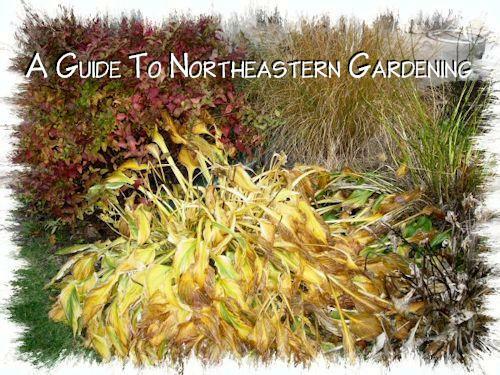 Fall Garden Maintenance Tips-It's that time Again! Are you getting your garden ready in Fall for the Winter months? Here are some helpful tips that will ensure the vitality and health of your plants. Watering During Fall Winter: A common question often asked is, "Is it better to keep watering my plants until the ground freezes or should I stop watering now?" It is important that prior to winter that there is significant moisture around your plants. 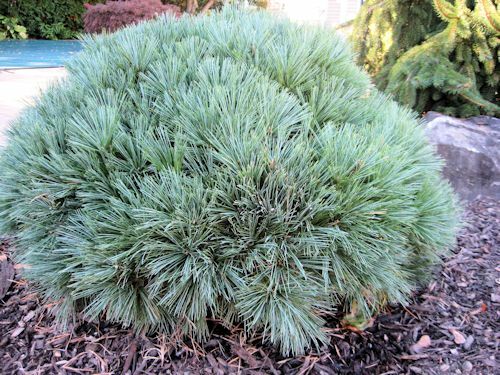 Evergreens do not lose their leaves so they continue to transpire or lose water over the winter months and once the ground freezes it is difficult for water to percolate down to the roots. A well watered tree will over winter far better than a thirsty one and will not be as susceptible to winter frost damage and drying. Continue to water until the ground freezes. ﻿﻿﻿﻿﻿﻿Mulching & Frost Heaving: In freezing temperatures soil around your plants may be subject to frost heaving. This is when ice forms underneath the soil and expands upwards from the ground causing plants such as perennials to push upwards exposing the crown. Heuchera (Coral Bells) and Liriope are especially prone to this type of damage. As a preventive measure apply a protective mulch finishing to your garden beds in Fall. 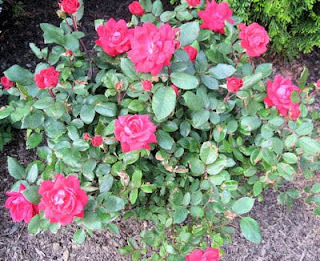 To remedy frost heaving, slightly tap the soil back down and brush the mulch back around the exposed crown of the plant to protect it. Weeding: Do some Fall weeding and garden maintenance now to prevent weeds from getting out of control in the spring. 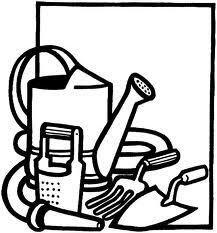 Dispose of weeds that may have seeds on them in the garbage and not in the compost. Put a clean edge on your garden beds to prevent grass from invading and remove any decaying debris to prevent fungal infection. 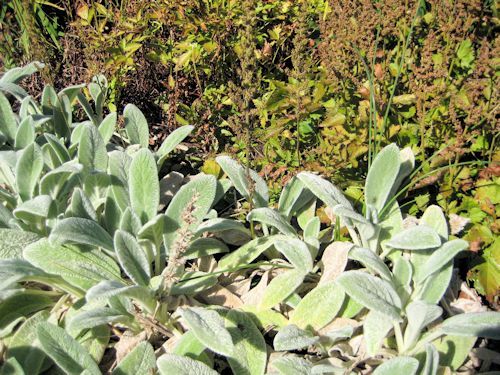 Clean up your Perennial Garden: Remove any expired foliage and stalks that could decay over winter. Cut perennials four to five inches above the ground and apply a thin layer of mulch. 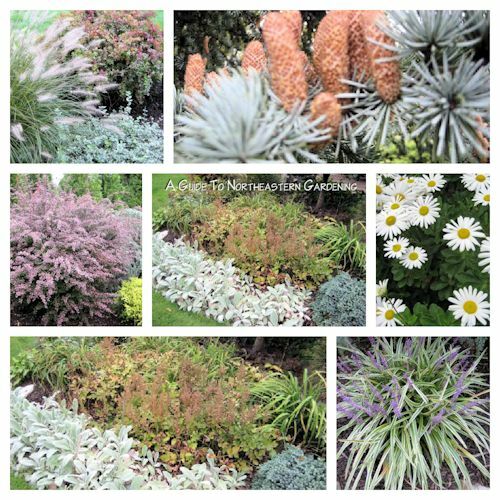 Some perennials such as ornamental grasses should be left to cut down until late winter-early spring. For more info visit Fall Garden Maintenance: Pruning & Dividing Ornamental Grasses and Perennials. Pruning Trees & Shrubs: Early summer blooming trees and shrubs form their buds immediately after flowering subsides so pruning them too late may remove next year's blooms. These shrubs should be pruned immediately after flowering. Late summer flowering trees and shrubs benefit from pruning in fall while they are dormant. Do not prune roses such as Knock Out Rose in fall. Pruning encourages new growth that may not harden off in time for winter. For more information and a list of pruning times follow the link above. Bulbs: Plant spring blooming bulbs such as crocus, hyacinth and daffodils now in the fall before the ground freezes. Lawn Maintenance: Clean up leaves from your lawn or mulch them. Spray to control broadleaved weeds and apply a lawn fertilizer in late fall to encourage a healthier and greener lawn in spring. Cut your lawn a final time before winter. A little Fall garden maintenance now will save you time in spring and give your garden a good and healthy start. On that note...out to the garden! It's Fall on Long Island and the colors are beautiful this year. The average daytime temperatures have dropped down into the 60's and there is a cool blustery wind. The seasons seem to be changing a lot quicker in 2012 and are a few weeks ahead of schedule as the trend continues. Predictions are for a cold and snowy winter which may prove to be true as seen by the quickly changing conditions and abundant production of pine cones. The changing colors of the fall garden are all around me. Welcome to another Garden Blogger's Bloom Day. Walk with me as we venture through my October garden. The colors almost turned overnight this year with a plummet in temperatures from the mid seventies one day into the fifties the next and then a little frost just the other morning. Astilbe, Daylily and Lamb's Ear have gone into Fall mode and Juniper 'Blue Star' is alongside them for some winter color along the backyard entrance. In the side garden, Dwarf Fountain Grass 'Hameln,' is showing off its wispy plumes next to the blue of the Juniper and burgundy of Heuchera 'Palace Purple'. A birdbath nestled in the garden invites local birds to stop and visit. Walking along...the Spirea 'Gold Flame' is showing hues of burgundy and orange and is turning into a rainbow of color. The Barberry 'Rosy Glow' takes on a fiery burgundy-red appearance next to the blue of the Weeping Blue Atlas Cedar and gold of the 'Gold Mop' Cypress (Chamaecyparis 'Gold Mop'). The dwarf Buddleia Lo & Behold Blue Chip is still producing bright purple blooms. I will still see an occasional butterfly and just the other day I caught a glimpse of a rare hummingbird as it stopped by my lantana tree (now inside), hovered by the butterfly bush then flew off! I am enjoying my Liriope which is an old stable in the garden and producing its striking purple blooms followed by deep purple-black berries for winter. 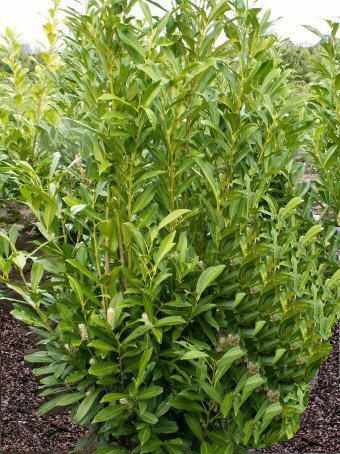 This plant is very hardy in zone 7 and goes nicely with just about anything. It stays at about ten to twelve inches tall. and now around to the pool. Here is Hinoki Cypress 'Aurea' along with 'Yaku Jima' Maiden Grass in the background and Montgomery Blue Spruce in the foreground. Notice the abundant production of cones on my Blue Atlas Cedar. Is this a sign of a harsh winter to come? Here is a close up of the Barberry 'Rosy Glow' along with 'Gold Mop' Cypress and a backdrop of Western Arborvitae 'Virescens' and 'Emerald Green'. The blooms on my Knock Out Roses are not ready to quit and continue to supply color in the garden. I am glad to have added them two summers ago since they have given me so much joy. In the front yard the Coral Bark Maple (Sangu Kaku) is starting to display its Fall colors. It will turn a bright golden-yellow as the weeks go on. I love the show this tree puts on. Keep the Fall color coming! and now a close up of Dwarf Maiden Grass 'Yaku Jima'. This type of Maiden Grass grows to about five to six feet and stays more compact than most. It's large elongated plumes are so wispy! Here is a combination of Dwarf Mugo Pine and Sedum 'Brilliant' in the front yard. And here is another view of the backyard showing the evergreens in the backdrop and the gardens in the foreground. The gardens wrap around the patio and then lead out to the pool area gardens which we visited earlier. Here is another view of the Dwarf Mugo Pine and Sedum along with the Weeping Blue Atlas Cedar in the backdrop. And here is my newest addition...a Globe White Pine. Its needles are delicate and soft and it grows to only about two to three feet in diameter maximum. I am making sure it gets plenty of care as we head towards winter. And as we head out towards the driveway here is my Weeping Norway Spruce (in the backdrop) along with Fountain Grasses as they display graceful plumes and bring in the Fall. It is unknown what the winter will bring but for now I am enjoying the crispness in the air, the beautiful days and changing colors around me. Thank you for strolling along with me in my zone 7 Long Island autumn garden. I am so glad you could visit and please do visit our Garden Blogger's Bloom Day hostess Carol at May Dreams Gardens. Please leave a comment so that I know you dropped by and I will be sure to visit you as well! As Always...Happy Gardening and Happy Garden Blogger's Bloom Day!